Soon it's my 13th birthday. For it I want to have a spa sleepover but I have a load of problems. Spa sleepovers are all about doing something pampering and sharing lots of girl talk and laughter. It doesn't have to cost alot, however, if there are certain things you want to have, you'll either have to buy them or make them ahead of time. For instance, face masks are always fun at spa parties. You can buy them or make them with ingredients you have at home. If you'd like a recipe just post in the comment box below and I'll add one. Manicures and pedicures are easy and inexpensive. With some toothpicks and colored nail polish you can make some really fun designs on each other's fingernails and toenails (use the toothpicks to draw the designs). Add some stencils, stickers or gems if you can afford it and cover your designs with clear nail polish. It's amazing the cool designs you can make with a few colors and accessories. Keep some nail polish remover on hand in case you make a mistake. There are several conversation games that you can print out and use like the Who, Where, Why game and SHARE. There are more games that would fit your party on my party game page. Another fun activity is to ask you friends to each bring one item they use a lot in a paper bag or something that you can't see through. Have them all drop their item in a container at your place that no one can see through and later in the evening pull each item out and have everyone guess who the item belongs to. You can ask them to bring a baby photo or their favorite stuffed animal instead... whatever. Set up a diva photo shoot if everyone has cameras. Do up each other's hair and try and come up with some outrageous outfits. Be silly and have fun! There are some printable invitations for a spa party on my site, but if you don't have a color printer try writing the invitation on a bottle of nail polish or buy those lip gloss key chains at the dollar store and attach an invitation card. Ask the girls to each bring their favorite movie with them. That way you'll have something to watch later in the evening if you need something to do. If you sign up for my free ezine "Girl Stuff" you will have immediate access to an ebook of homemade spa recipes. You can do that by clicking here. There are also several facial mask recipes on my Facial Mask Recipes page. Hi Diva Girl! This website really helped me! I loooooooooove this website. It helped me sooooooooooo much! Hello! I'm trying to plan an in-home spa party for my, soon to be, 8 year old twin daughter's but I have no idea where to begin. I do know that I would like to stay within a really strict budget. Should I make it a sleepover? What supplies should I purchase? How many adults should I have assist me? Should I hire someone to polish the girls nails? What type of decorations should I have? I could really use your help because I am hitting a road block every time I try to brainstorm ideas. Reply: The last spa party I did for young girls we had 10 girls at the party. We set up the basement as a spa. One area had a waiting room feel with couches, chairs, and a table with fashion/beauty books and magazines (borrowed from the library). A TV running taped fashion shows and makeovers was on with no sound. We had music playing for atmosphere. There were finger treats in the waiting area also. Another area had 3 chairs side by side with foot baths in front of them for pedicures. One friend we know who's good at pedicures did those and another cleaned the foot baths and assisted in other ways like drying feet . We borrowed foot baths from friends. A table was set up with nail polish and nail art for the girls to do each others nails while waiting for other treatments. Another area had hair and makeup and two of us did the girls hair and makeup one at a time. We had a full length mirror and a few smaller mirrors in that area for the girls to primp and preen before their photo shoot. The birthday girl's grandfather is a photographer. He brought his equipment and set up an area of the basement for photo shoots. It looked really professional for the girls. We had a basket of accessories like hats, handbags, etc. for them to wear. The mom brought around finger foods and beverages from time to time. The only cost was the invitations which I designed to be like a spa brochure and had printed at a local printer - $10, food and cake - $30, some nail art - $10. Favor bags were also handed out and included some lip gloss, small nail polish, beauty samples (which were free) and candy shaped like lips, lipstick, etc. - $30. Everything else was free because friends volunteered their time and supplies. The girls had an absolute blast and in my opinion $5-10 cost per guest for everything is pretty great. Any of this could be hired out and not everything has to be done. 6 adults assisted in different ways, but you don't necessarily need that many. It was as much fun for us as for the girls. I don't generally have problems getting friends to help with these things. That may not be true for everyone, so tweak or hire out accordingly. I should add, the photographer printed the pictures he took (really gorgeous) and gave them to each girl (no cost). Those were supposed to be the favor, but the mom was having fun making the favor bags. In reality the favor bags were not a necessary cost. I'm going to be 11 soon and I want to have a spa party. My grandma wants it to be at home but I want it to be at a hotel. The colors are hot pink and blue. Got an idea? Reply: Are you asking for an idea on a theme, how to decorate, what to do, other? Can you add a little more to your question? I really want to thank my BFF for being such a good friend, so I'm organising a spa sleepover for her. It's just going to be the two of us so I was wondering if you had some great ideas for her. My price range is $35... Thank you. Reply: I'm sure you've seen all the spa recipes you can make at home for next to nothing so you could do everything from facials to pedicures for next to no cost. The one thing my friends and I have been having a lot of fun with lately is all of the cool nail art supplies. The sky is the limit on the creations you can come up with and what's really trendy right now is to paint every nail different, but all within one theme. For example: A British Nail Theme or you can find all kinds of inspiration and ideas in this Seventeen Magazine article. There's ideas for nail themes for everything from Disney to politics. Since you can make other spa treatments for a very low cost, why not spend the money on some fun nail paints. You can even give your friend some of her favorite paints and nail art supplies to take home. For my birthday I want a spa-themed sleepover. I've looked up what to do and how to make it all work. I'm only inviting 2-3 girls but I want like spa stations, but if there's 3 of us and 3 tables each girl will be separated. And also, what are some good movies to watch and facials to make? Please post a recipe for a face mask! There are over a dozen recipes listed on this page and you can find to more here. My Birthday Is Coming Up Soon! Hi! I need your help. My birthday is coming up and I want to have a sleepover with my friends. I want it to be fun and not get boring after awhile and I want to do alot of fun things, but not little kid stuff because I'm turning 13 and my house is kinda small so not ALOT of space. Also one of the girls I'm going to invite has trouble getting along with people, like she always has a rude comment to say about someone and of course I get along with her and I'm going to invite her because I don't want her to feel left out. What should I do about activities and the girl. Just to clarify. Are you concerned that the one girl is going to be mean to your other friends? Does she do this randomly or with cause? Are you looking for a girly themed sleepover or other? Hi! I' having a sleepover with one friend and I want the theme to be a spa theme. I also can't spend a lot of money because that's why my mom doesn't really let me have any. My house isn't that big. My room isn't either and it's pretty crowded. Please help! There's not much space and my mom won't let me have it in the living room because she doesn't want me to make a mess. A spa party doesn't have to cost much. If the only thing you can afford is a few snacks for the girls, then have your invite request they bring their favorite glam stuff like makeup, nail polish, hair products, etc. and have the girls' take turns getting made over by the group. If you want to do facials, etc. there are so many recipes that only require things available in most kitchens. There are tons of free printable conversation type games on this site you can use. You can borrow fashion magazines from the library. As far as room, I find that most girls huddle in close proximity even when they have all the space in the word, so I doubt that is an issue. With all the planning that goes into sleepovers, the thing that girls most remember years later is laughing out loud and sharing secret things about each other. Hi, im having a spa sleepover but one of my friends is not as girly as my other friends. How can i make the party less girly? Even guys like spa treatments so even if your friend is not a girly girl it doesn't mean she won't enjoy being pampered. That said, go with rustic colors and decorations rather than pink and girly colors and decorations. My daughter is turning 6 and her theme is a Diva Rock Star Slumber Party. I needed help with coming up with more ideas to tie into her theme. We have the back drop for pictures and dress up along with the different stations manis, pedis, facials, and makeup. They will also have a dance off. Need help with more ideas though. Do you have a digicam and a printer so that you can do a photo shoot and print off pictures for each girl to put in a mini album that they can all autograph like rock stars? Glamour games and activities that can be tailored for any age. Set up a table with magazines like a waiting room area on one side. That can be where your couch or comfy chairs are. Set up a card table to check guests in and give them a list of what the spa has to offer or any other items you want to give like their own washcloth, etc. Set up a table for doing manicures with one chair on either side of the table. If you're doing facials, you can have small mirrors set around a larger table and heat the facecloths, etc. to bring out for cleansing. Candles are a nice touch and soft classical music. You could have a fashion show or makeover show playing on the tv or otherwise have music videos playing without the sound. Reply: Set up a check-in table at your entrance door and make a little brochure of the types of treatments the girls can enjoy through the night. You could even give them tickets to use at each station. Set up stations throughout the area you are hosting your party and arrange for a friend or family member to do manis, another to do pedis, another to do facials and/or make-up, another to do hair. Then set up a photo shoot area for the girls to either takes pics of each other or have a friend do that to. Set up a station with ingredients and recipes to make homemade spa treatments and provide pretty bottles from the dollar store that they can put their creations in and decorate to either keep for themselves or give as a gift. Have finger foods and fancy drinks. Play conversation games and have magazines available for the girls to read, especially those that have fun surveys in them. Rent some chick flicks to take you through the rest of the night. So me and my friend are having a sleepover and we wanted to do all of the "sleepover things." We have the manis, pedis, and face masks, but we need help with some photos. We are making the photos to try to get my friend's boyfriend back. We are thirteen and have a dilemma! Reply: You'll need to clarify what you mean by needing help with the photos. Are you wanting to have a photo shoot, but don't know what you need for that, or do you not have a camera, or do you not know how to edit the pictures you are taking, or ? Hi! I am turning 13 in January and I am having a blue themed spa party. I have invited 10 people. Have you got any cheap ideas for party bags and entertainment? Reply: Hi Ellen! Could you clarify please. Your subject line noted too expensive, but there are ideas on this page ranging from pennies to many dollars. Is there an idea that you liked that was too expensive? Can you give us an idea of what your budget it is and what that has to cover. (Eg. If your budget is $50, does that include food, prizes, games, favor bags, decorations?) How much can you spend on the ideas you need help with? I'm turning 11 in 2 weeks and I'm having a sleepover with 5 people including me. I have everything planned, but I need games. I'm having a spa, but on the plates and stuff are cupcakes. Help Please!!!!!! Reply: I recently came across Cahootie party games . There all sorts to choose from, including slumber parties and best friends. I know you can get them at Amazon, but maybe they are available at your local store too. If not, you can make them yourself with a little planning and creativity. I have looked at the diva girl, but don't believe this for women 35-64. Please help. The retreat is Nov 4-6. Reply: Hi Janice! This particular page is a teen page. Did you look at the ideas on my home spa party page and my adult slumber party page. Those ideas are geared toward adults. Depending on your plans for the evening, there is a really great Spa Themed Murder Mystery Party Game that I have used a couple times that is so much fun. Love your website, but I need some spa sleepover ideas for face masks, invitations, and games, other than the ones you have posted on your website in order to have the most amazing spa sleepover in the world! Got any ideas? Reply: It would be helpful if you gave me a sense of what style of ideas you were looking for. As for invitations, I've created spa invitations out of everything from towels to nail polish. Since spas are generally set in a relaxing atmosphere, conversational games tend to work best, but I have ideas for more active games if that is what you prefer. Since there are dozens of face masks posted throughout my site, it would also be helpful to know what kind you are looking for. Hi! I'm having a spa sleepover. We don't want to spend much money, but we want to have a blast. Do you have any games to play to keep the night going for a long time? Reply: There are several listed at https://www.diva-girl-parties-and-stuff.com/slumber-party-games.html. For my b-day I want a spa party but I need ideas. Reply: What kind of ideas do you need? There are dozens listed on this page. If you are looking for something you did not find on this page, please specify so that we can provide a better answer to your question. I'm having a spa sleepover and it is next week. How can I make a mask at home to put on my face and my guests' faces. Can you tell me a recipe? I think it would be fun to do. I'm about to be a pre-teen so I have to do some hot and in style like masks at a spa sleepover. Help! Plz comment back. How do you make face masks? Reply: In an nutshell, you mix items from your kitchen. There are several videos below that include step by step instructions for a variety of different homemade face masks. I'm having a sleepover and I have no clue what to do. We want to make face masks but we don't have any fruit or honey?? Can you think of a recipe that is just a simple face mask. I'm having a spa sleepover with three or four of my friends and we will have so much fun. Ii love doing things with my friends and we love taking pics of us together. We will have the best time thanks to this site. Thank you. It's not my bday. I'm just having a spa sleepover before school starts back. Spa sleepovers are so much fun. In the summer you can even do some beauty treatments outside and sip fancy drinks by the pool. Plus you don't have to worry about getting up early in the morning or being cranky at school because of lack of sleep, so it's one of the BEST times of the year for a sleepover. Hi! My sleepover is in 3 days and I need some inexpensive facial mask recipes. Please reply back!!! There are over a dozen recipes below that use items you have in your kitchen. There are even several with video instructions. I'm having a sleepover tomorrow and I need tips on how to make my friends and I have a blast. I have found a few things to do, but that would last us only a hour. Please help ASAP. Try this friendship game. 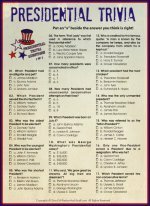 You may have to change one or two of the questions to suit your age group. Conversation games always work well at a spa party and how about clipping some quizzes from magazines like "What kind of diva are you?" Those can be a lot of fun. I need to get some new cheap recipes for spa slumber party by the end of this month. I need new ideas for nails, facials, and hair styles. Please help. I'm running out of time to get ready. Reply: There are 3 videos below that give instructions for making facial masks with things in your kitchen, so they are very affordable. There are several ideas for nails on our funky nail art party page. As for hair I would ask some older friends or family to come and do hair or just have a competition among the girls themselves to see who can come up with the coolest, most unique hairstyle. I might have a sleepover with my bestie and I want to do a spa and I don't have any ideas. Please help??!?!?? Reply: Do you mean that none of the ideas on this page work for your party? If not, please give some more detail about what kind of ideas you are looking for. Everyone PLEASE stop asking for the facial mask recipes! You just want to make yourself heard! I understand the first FEW people didn't, but come on guys seriously! I'm not trying to be mean but EVERYBODY is asking for the recipes! Reply: Thanks for your comment. You're right. There are several recipes and videos listed on this page. That said, some may have a specific type of recipe they are looking for and not finding, so I would suggest everyone check out the recipes already on this page and if you are looking for something different, please give some more detail about what you need. Reply: Do a photo shoot. You can be as glam or silly as you want and get as creative as you want. It's so fun and creates such a great lasting memory of your party that you can make mini albums of and send to your friends as a thank you for coming. That stuff kind of helped, but can you like give us some more ideas. I'm having a spa sleepover and I have no idea how to make facials. Any ideas anyone? Reply: Check out the two face mask videos below. Both of those masks smell delicious. How do you make party cards??? Reply: If you mean how do I make cards for a Spa Party, I change it up for every party. Sometimes I go to the dollar store and buy spa items and either write the invitation right on the item or attach a small tag with a ribbon with the invite info on it. Other times I design them on my computer or cut out spa item shapes to write on. One time I made a Spa Brochure featuring the guest of honor in the images and had them printed at a printers. For another I used fusible web to iron towel fabric onto paper to make the invitations or I made homemade boxes and put key chain lip balms inside with a tag attached to the key chain providing the details of the party. There are tons of ideas. What do you make the masks with? Reply: There are an unlimited number of items you can make facial masks with. Here's an easy one made with banana and honey that's good enough to eat. Hi! I I was planning to have a sleepover with my 3 best friends and we love to bake. So I was wondering if you had any recipes that are easy to make? Reply: There are some fairly easy finger food recipes at Celebrate with Style that might work for you. This is a good idea for a 13th sleepover spa thank you!!!!! !I thought of a fashion show but not a photo shoot. Well I'm having a sleepover and I don't have a facial recipe to do facials and I looked on many websites to get some recipes but they don't have the one I want! So can you help me find a recipe! What's the recipe for a coconut face mask? Reply: You can find one coconut oil face mask at Live Strong about half way down the page. It's made with avocado, honey, and coconut oil and is known to be good for acne. Here is a recipe for an oatmeal yogurt facial mask. You will need half a cup of oatmeal and 1 cup of plain yogurt. All you have to do is mix it and put it all over your face. I need a green facial mask but out of every day items! Reply There are a couple videos below for green face masks. I need help. I'm having a sleepover with my friends tomorrow and we had a idea for a spa party. There's going to be four girls and I have a few recipes but I'm still not sure if I should have more recipes. Also, I don't know what we should do after the facials. Can u plz help and plz plz plzzzz reply back. Response: Have some beauty magazines around, especially ones that have fun surveys in them. They are always fun to do when your hanging out with the girls. Afterwards, why not give each other hair and makeup makeovers and then take glamour shots. If you'd rather relax I would go with fun surveys or games that include conversation starters. It's fun to sit around and chat and laugh sometimes. I need green spa masks and I need recipes fast. There are two facial mask recipes here that have mostly green ingredients and will have a green color to them once mixed. GAMES - if you're turning 12 and up, it is fun to play bridal shower games. Please guys... I need games... some cool games that relate to my spa party. P.S. I am turning 12, so consider that if you have an answer for me. Hey, diva girl! I was wondering if since the economy's budget is crazy, is it good if I have a spa party for my 11th bday this July 14? It sounds really fun to have one and I was going to invite 8 of my friends... that's eight girls... and then have a sleepover afterwards. Spa parties can be so affordable, especially if you make your own recipes at home and then give each other manicures and pedicures or have some teenage friends come in and do them for you. It's a great bonding bff time too. First scramble the egg yolk, then add olive oil and mix it in. Next rinse the tablespoon with hot water and add 1 tablespoon of honey to the other ingredients. Then apply on face and wait 15 minutes. Reply: How many is too many depends on the size of the location you are hosting the party, how well you all get along, and how many helpers are available (if needed) to help you run your party. I've held slumber parties with 20 or more at my home and 50 or more in a church hall. There's no right or wrong answer. It really depends on specific information related to YOUR party whether 13 is too many. All of that stuff is great but I need to know how to make the face masks. My friends are coming over for a party and I am wondering how to make them. Answer: There are links below that lead to instructions on how to make some masks as well as well as several videos. Please HELP! My sleepover is tomorrow. Should I buy face masks or not? What else do we do apart from paint fingernails and toe nails? What else? Reply: You can buy or make facial masks. It depends on your budget and/or if you like to use all natural ingredients for beauty treatments. There are several other activities listed below other than facials. Conversation games, fashion shows, photo shoots, etc. are a few. For my 10th b-day we`went to the local cosmetology school and me and my friends got hair and nails done for like $5 each and had a friend of ours come over and do our makeup (she's a cosmetologist). Then we went out for dinner. My friends say it was the best party they ever went to still and I'm almost 13. Hope this helps someone. Please Help! I need some ideas quick!. Ok, so I'm going to have a sleepover soon and I need some games to play. Please help. 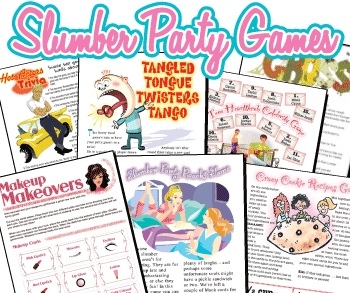 Reply: There are several slumber party games listed HERE! Ok, so I have got a question. I have sauna at my house. Do you think i should use it? And could you guys please give me ideas other than facial masks. I mean come on... get real. My daughter is turning 6 and I really want to make her feel like a princess for the day. I invited just a few friends over. We're setting up stations for hair, makeup and nails. I found some really easy recipes for sugar scrubs, lip balm and oatmeal facial masks. Then all the girls are getting dressed up in their fancy dresses, with little tiaras and the moms and I are taking them out to a nice dinner. It's not just her birthday. It's mom and daughter time too. She's sooooooo excited!!!!!! I need a fun homemade cucumber mask for a 13 year old teen girl slumber party. This was lots of fun for my three daughters' birthday party!! processor and process until only liquid remains. Add the Brewer's Yeast and oats to the cucumber/honey mixture and process to mix fully. To use, apply to clean face and neck skin and leave on for anywhere from 15 minutes to a half hour. Rinse well and follow with toner and moisturizer. OMG! I've been looking for something like this for ages. Thanks so much. You really helped!!!!!!!!!!!!! Hey! I really need a mask recipe so that I can have fun at my sleep over party this weekend! Thanks!!!!! Click here for some homemade facial mask recipes! I need a recipe really bad. Can you gave me one plz?!?!?! Click here for some homemade facial mask recipes or scroll below for recipe videos. My birthday is this month so I want to have a great spa sleepover. My mom knows how I want it. We are going shopping this weekend to have everything set up. I hope it goes how I planned!!! It worked for me, and I hope it works for you! Have fun! I have a face mask recipe to share. Mix dry oatmeal and water. It should be pasty, not watery. Add more water if necessary. Double the ingredients if you are willing to do facials with your gal pals. P.S. It makes your skin smooth. It worked for me. Thanks for the cool tips. I'll have some real fun on my sleepover in 2 days. This is a great site. Thanks a lot for helping me out! Thank you for doing this. I needed it so much. All of the other websites I've looked at have absolutely nothing that I need on them!!! I am sooo happy that you did this. And now that you did and I found this website I actually know what to do at my birthday party!!! If I did not look here I'm pretty sure that right now [6:24] I would probably still be searching the web and trying to find something cheap to do for my birthday!! Since I found this website of yours I will definetly put it on my favorites!!! P.S.- I LLLLOOOOOVVVVEEEE THIS WEBSITE!!!!!!!!! Is it ok to buy the facial mask or not? I'm having a spa sleepover on the 23rd. Can you help me? Reply: Of course, you can buy the facial masks. I often get really nice ones at Shopper's Drug Mart (Canadian Drug Store) for 50-75 cents each. You can get a variety that way. There are also a few Avon masks that I love and Avon has great sales on their masks all the time. I have some comments for 9 years old that are turning 10. I only invited 4 friends. Before they came I set up games like egg toss or balloon fight. When they arrived we played Twister, and then we made a movie. We watched our favorite movie while we were eating popcorn. We didn't sleep until 1:00 am in the morning. The next morning we ate pancakes and sausage with orange juice. At 10:00 am in the morning we did the spa. We first laid out 5 beach chairs. We laid on our towels and my mom invited my hair dresser to do our nails, hair, face, massages, and other stuff. For each of the spa treatment we did, my hair dresser gave us gifts to match the treatment she did on us. Neat! Those ideas are so cool! I will so try them out! I want to have a spa sleepover next week over spring break. I want a fun place for all the girls to just be able to relax and get their minds off of school. Have any ideas? Any one can reply! Please help!!!! Reply: For several friends we have set up a lounge in their basement with couches and chairs, a tv showing either a fashion movie, fashion shows, or music videos, and fashion magazines (borrowed from the library or friends) scattered on a coffee table. If the tv was on mute we had music playing (whatever genre of music the girls liked). We had makeup, pedicure, manicure and hair stations set up, as well as mirrors in varying sizes on the walls and standing at stations. We even had a prop station with hats and accessories for the girls to try on and strike a pose in. You can make almost an room relaxing and spa worthy. I want to have a spa themed birthday party but I have a bff who is a tomboy. What do I do? Reply: Even tomboys enjoy being pampered. Maybe she won't want pink zebra nail polish painted on her toes, but what if you did fun henna tattoos (non-permanent) and had massages? I made a mask out of clay, water, lotion, and aloe vera gel. I hope this works for you because it worked for me and now I am using it at my slumber party in 4 days!!!!!! For those looking for face mask recipes, there are several homemade facial recipes listed here. Reply: Mashing half a banana and mixing it with a teaspoon of honey is both delicious and a great face mask. What is the recipe for a facial mask? Reply: There are several videos below and links above to easy to make recipes. I need a homemade facial mask recipe. Reply: Here's a cucumber yogurt facial mask easy enough even for small children to help make. What can I use from my home to make a face mask for my daughters spa sleepover. evening primrose oil, coconut oil, grape seed extract, vitamin E, aloe vera gel, olive oil, and almond oil. I added a link to a page with several facial mask recipes above. Hope you find one on that page that will work for your party. Hey, can you please add the recipes for the face masks? Thanks so much! Bye. I want a recipe to make face masks at home. Reply: This mask is made with oatmeal, honey, and plain yogurt. Enjoy! I need a green facial mask. This is a great idea! My friends and I were planning on having a Teen Spa Night and this helped answer a lot of our questions! I am wanting a spa party also. I have issues because one friend doesn't like the other. If you don't want to spend any money, you can make or buy some already made facial cream at your local pharmacy. You can get manicure and pedicure supplies at Dollar Tree and if you don't want to buy invites, they have really great ones when you search spa invites on google and press images and see invites. This page is great! I am having a sleepover and this page helped a lot. Thanks! Please could you add a recipe for a face mask? Thanks!!!! You could watch a movie, do each others hair and wear face masks with fresh cucumbers. I like using toothpicks because they have very strong pointy ends. If I want to make a zebra print on my nail I first paint my nails white, let them dry, and then dip a toothpick lightly in black or very dark purple nail polish and draw in the in the zebra lines a little at a time. I let it dry again and then cover with clear polish. Flowers, crazy lines, almost any shape or design can be drawn. Just be sure to let it dry between colors. I was just reading your suggestions for Spa Parties and I wanted to know how to make the designs with the toothpicks on the finger nails. I suppose you would just draw the designs while your nails are wet? Yeah, I have these parties all the time for no reason, except to have fun. One tip would be... don't put toothpaste in your hair. I rate this page 5 stars because it relates to me so well.